It’s no secret that weddings require a great deal of planning and preparation. With so much to organise, it can be difficult to know where to begin! We’ve put together some of the key steps you need to think about during the planning process to help make it that little bit smoother. This is the first step in planning your wedding and it’s an essential one. You might have a dream scenario in mind but it’s also important to be realistic. How much money can you put into the wedding? How much are you willing to spend on each area? Once you’ve got the answers to these basic questions, you’ll be able to narrow down the options available to you. Choosing a venue is another thing that should be done early on in the planning process. 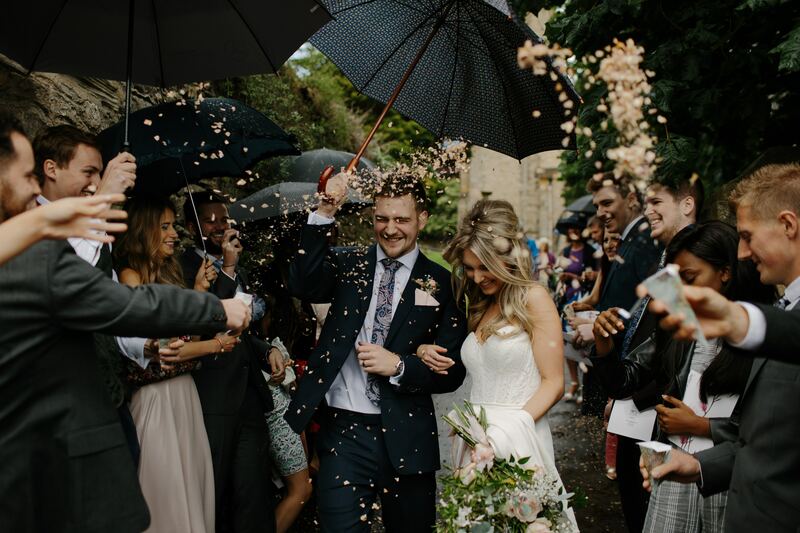 Popular venues such as country houses and castles will get booked up a long time in advance, so make sure you give yourself enough time to find the right location. Setting the date will probably come as a result of the venue’s availability. You don’t want to end up waiting a really long time or choosing somewhere in a panic! Whether you want something simple and sophisticated, or you’re planning on going all out, it’s important to get the outfits sorted in advance. The wedding dress will likely be the star of the show so this requires careful consideration, but it’s also important to get the groom and everyone else looking their best! You might want to look into your plans for the outfits following the wedding – if you want to keep the dress as a treasured memory, it’s a good idea to get it cleaned professionally. Your budget will determine how many guests you’re willing to have, as will the kind of wedding you want to opt for! Whether the guest list is small or big, you should make sure you’ve included everyone you want to be there on the special day. Once you’ve got the guest list, you can send out invitations. Often with weddings, all the focus ends up being on the big day. Make sure you’ve planned for the time following on from your wedding. Where will you go on your honeymoon? Will you meet up with any friends and family who couldn’t make it to the wedding? You might also want to think about how you can make lasting memories of the day. Disposable cameras are a popular idea for this! While wedding planning is important to get everything running smoothly, you also need to remember to enjoy yourself! A wedding is supposed to be a joyous celebration so there’s no point wearing yourself out in the run-up to it. Take breaks from planning, ask for help, and remember to relax. Not everything needs to be perfect, you will still have a magical day.